Graham conducts *licensed on-site security audits uncovering weak/vulnerable areas.Risk minimization strategies are proposed based on theory & past experiences gained via the school of hard knocks. Strategies to eliminate or drastically reduce most risks via RMP:Risk Management Plan. 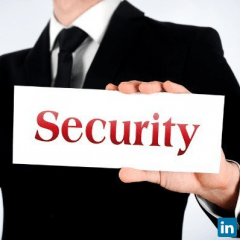 It's the law enforced by SLED:Police Enforcement Directorate to have attained the necessary TAFE CERT-IV training+Security licensing as a security consultant holding a valid *SLED Class:2 license Security License.